Talking to a friend about mental health or personal issues may bring you some relief, but often results in frustration for both you and the friend. 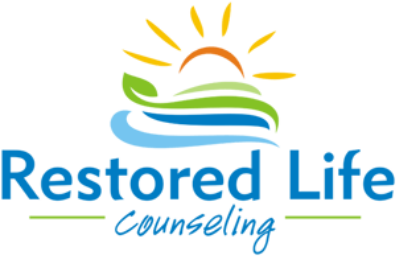 God is the only friend who is equipped to help you through your most difficult problems and we can help you center your life back on Him at Restored Life Counseling. We are fully trained professional therapists who can assist in ways that a friend or even a group of friends can’t. A mental health professional is trained to maintain a neutral/unbiased point of view and has nothing to gain or lose by helping you find a solution to your current situation. Often, friends and family members are too invested in the outcome of your current life circumstance to help you because their needs and desires get in the way of an objective view. There is a saying that “your world changes when YOU change.” A professional, licensed therapist is trained in ways to help you respond to your world differently. We have at least two college degrees and extensive supervised training thereafter. There are thinking patterns, usually formed in childhood, of which you are completely unaware. We can show you how those thinking patterns are holding your back and perhaps help you find insight and freedom. Your challenges are often a cage of your own making! If you had a persistent fever, would you just say “oh well” and live with it? Or would you go to a health care specialist who could evaluate, diagnose, and treat it? The average person doesn’t realize how common mood and relationship problems are to the human condition, and that they can be (and are) identified and studied. Whole systems of therapy are developed for common issues, much as drugs are developed for physical ailments. Traditional medical treatment can help with the symptoms of emotional difficulties, but counseling is needed to help you deal with the cause. The people intelligent and mature enough to seek therapy realize that it doesn’t matter what people think! It matters how you live every day of your life, and whether you can enjoy that life to a higher degree and love more fully. Besides, you would be surprised how many of those people you think are judging you are actually receiving therapy.